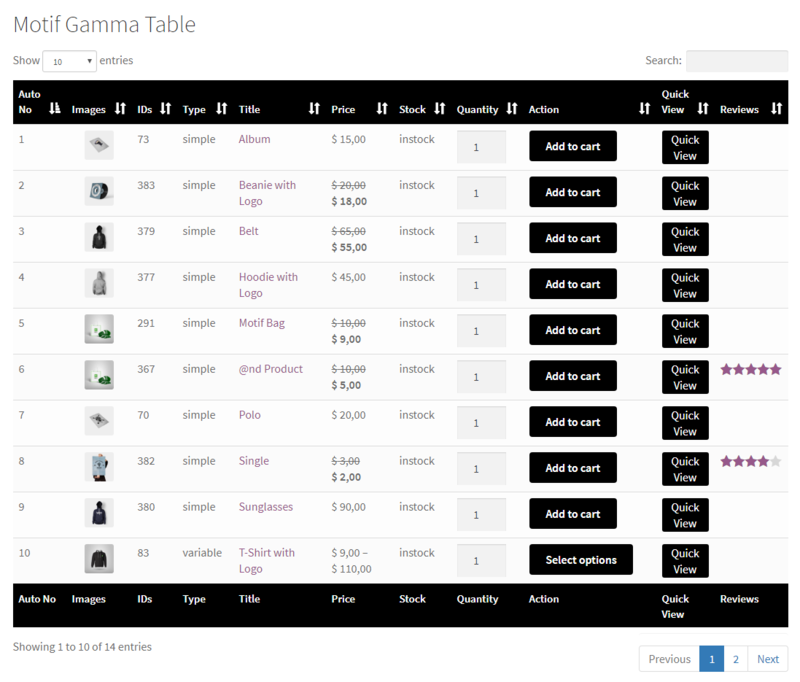 The Easiest, Fast & Awesome way to list your WooCommerce Products Items in responsive, user-friendly table view or order form with a quick view option. 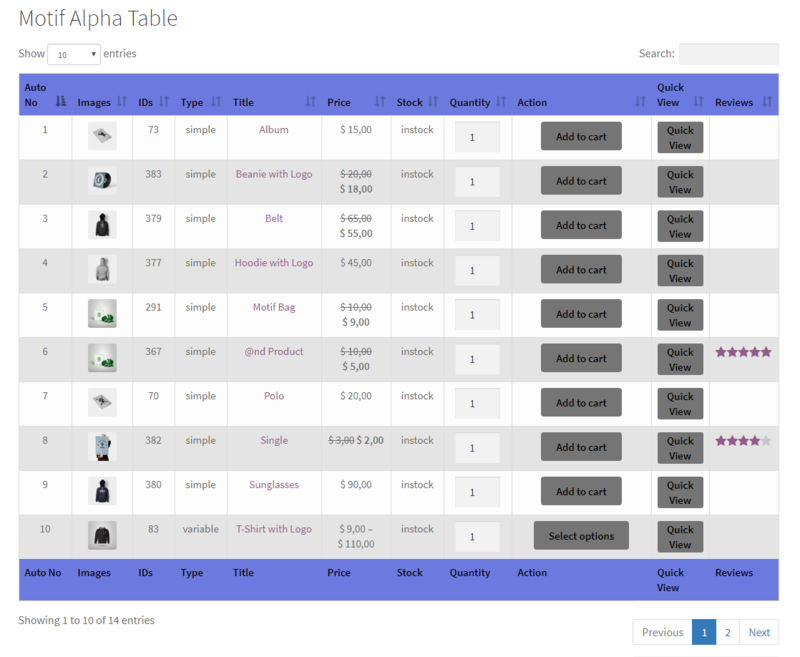 Now you can display your all wooCommerce products as a table in once page with no difficulty just copy the short-code and place in any page. 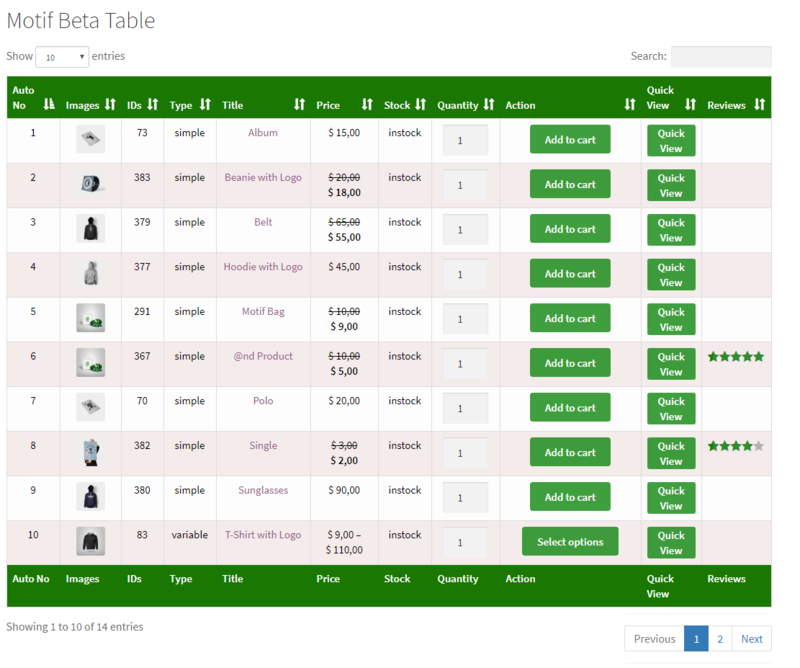 Fully Bootstrap Table templates with user friendly. Also you don’t need to go anywhere a new feature of quick view also be there for your product table. Compatibility Check with latest WooCommerce & WordPress versions. Sku Column Added and some more other changes..